Chris Johnstone: Well hello everybody. I’m lucky enough to be here with Mr. Frank Kern. As you probably know, my name’s Chris Johnstone and I’m the CEO of Connection Incorporated, a digital marketing agency. Thanks so much for taking the time, Frank. I really appreciate it. Frank Kern: Happy to be here man. Chris Johnstone: Right on. So we’re going to be talking about advertising, and a lot of our audience is business to consumer, so you can think like mortgage professionals, insurance guys, lawyers looking for local customers. Today we’re just going to have a conversation about how to help those guys get more business. Is that cool with you, Frank? Frank Kern: Sounds great. Let’s do it. I know that you’re doing a ton of stuff on social media right now, and online advertising, and I mean you have guys like Tony Robbins that come to you for advice on this kind of stuff. So I’m really, really interested to hear your answers to a couple of the questions I’ve got lined up for you. Chris Johnstone: The first thing is really just about growing businesses because so much has changed. What’s your number one way to grow a business? Frank Kern: I think the most dependable way to do it, and the most consistent way to do it, is to learn how to turn advertising into profit. I really want to make it clear that I’m not in the advertising selling business or anything, so it doesn’t matter to me if someone’s watching this and goes and spends 50 billion dollars on advertising. It’s not going to come to me so I’m not saying that with an ulterior motive in mind. I’ve just been advising entrepreneurs on how to grow their businesses for the last 19 years. If somebody can crack the code on turning cold advertising like going to these strangers and turning them into customers and doing so to profit, two things happen. Number one, they have a situation where they’ll put a dollar into this machine, so to speak, and then they’ll get more than a dollar out and then they can do that consistently. But the act of doing that also has this ancillary benefit of growing the business. More and more people become familiar with the business, so it’s like this snowball effect, which is really good. In the end, all roads point to advertising. The trick is it has to be advertising that actually works, which your industry people that call you are very lucky to come across with you. Most people in mortgage real estate professional services, their ads don’t work ever because they do them wrong. That’s a shame, but it’s also then a significant competitive advantage for anybody that’s around. Chris Johnstone: Yeah, that’s true! What we find is that it actually gives a business the ability to scale because so many people in our type of business depend on referrals. Then you’re dependent on just past customers referring you business. You can’t really scale that kind of lead source. Frank Kern: Right! When you are running an ad campaign, f you want to scale, it can literally leave just mean saying, “okay, let’s put more money into the ad campaign”. You’re putting $10,000.00 a month in, you get $20,000.00 back. In some cases, hopefully more often than not, you can put in twenty thousand in and get forty thousand back and now you scale. Whereas if you’re depending on referrals or whatever, you’re really at the mercy of someone else’s agenda. While it’s great because on the surface it seems like it’s free, this is nothing you have control over, and you’re basically in a reactive state. Chris Johnstone: I couldn’t agree more. So Frank, right now, where are you seeing as the best places to spend advertising dollars as far as a specific channel. What’s the best way to run those campaigns? Frank Kern: Well, it’s where people are. In the old days, it’d be all right, let’s go on television, let’s go on the radio, let’s get in the newspaper. All that stuff is still effective, but from my experience, especially right now in today’s environment, just to get in front of them on their mobile devices. I’m literally, I keep having to hit the off button on mine because emails are popping up as we’re on this thing. So, the question becomes how do we get in front of them on this? And most people use their phone for actual phone calls and texts, but if you were to take a cross section of the entire world that use smartphones, the majority of their time is spent on social media channels, Facebook, YouTube, etc, and what’s happened is this little guy is turned into modern day television and radio. Of course, we still watch TV and all of that kind of stuff, but we see a ton of video on this. We listen to a lot of podcasts, we read a lot of material on this, and I don’t care what the market is, your customers are on social, and they’re on their mobile devices. Who knows how long this is going to last, but right now from the cost perspective, it’s so unbelievably inexpensive to get in front of them. I almost get nervous thinking something bad’s going to happen because it’s so good. It’s like Ad Words was 10 years ago. So, social media is a huge thing. If we look at Facebook, Instagram and YouTube, what are you finding is the best pathway to the consumer right now as far as how to attract people? How to put them into a funnel? What’s your best tip or actually generating leads and customers? Frank Kern: It starts with asking the business owner a series of questions. The first question is “who do you want as your customer”? I felt like it was trapped for a long time, so I get it. You think social media is like kids posting what they had for breakfast or whatever. The fact of the matter is, the majority of Western civilization from our age, I’m 41, college age, and all the way to grandparents ages – everybody is on this media. If we understand that you can actually get in front people, the question first needs to be “who do I want to attract as a customer”. Let’s say that’s someone who is looking to buy their first home. Once we identify that person, then we need to ask the question “okay, what do they want”. This is where it gets really, really important in terms of how to attract them. Once you know what they want, all of your media campaigns just need to be content that’s showing them how we get what they want in advance, and basically saying, “hey, if you want some help with this kind of stuff, we’re happy to help you. Go and visit us. Go and schedule an appointment with my office, or come and see us, or pick up the phone and call us”. Right now we have the ability to get in front of these people with that type of message and it’s so inexpensive that there’s never been anything like it. Chris Johnstone: Yeah, it’s unbelievable. So we have a campaign in the mortgage business right now that’s specifically for first time home buyers, and what we’re doing is we’re showing them videos on how to check their credit, how to make sure that their credit is as good as it possibly can be so that they could get a good rate on their mortgage. They like it, they share it, there’s no real sales pitch behind it until after they consume the content. It’s totally transformed the way that those campaigns perform. Frank Kern: What it does is answer the most important question. What must I demonstrate to make sure somebody will want to do business with me, because nobody believes anybody. That’s why I was saying in the mortgage industry, banking, finance, professional services, people who are doing it right have an unbelievably unfair advantage because most of your competition will say, “We have the lowest rates, and we’ve been serving since 1971”. That’s nothing to do with the consumer’s thinking. So when you put a campaign up there like that, the first time home buyer is like, “oh, this person actually is helping me”. Now I feel the sense of comfort, trust with them. If you’re presenting them with a, “hey schedule an appointment with us”, or whatever offer when they already feel like that, of course, it’s going to work better. Our job is how do we just make as many people as possible feel comfortable that we’ve already helped them, and you’re doing it, which is to show them this is content that actually helps them. We always joke around calling oldest trick in the book, show these people you can help, by actually helping. Chris Johnstone: That’s it, but it works tremendously. That ties into the whole intent based branding thing. Would you mind just kind of explaining to my audience what intent-based branding is, and how it rolls out? If you look at some of the biggest companies in the world, they were built from television ads. It had key ads, creative things, global brands. I was just reading about Howard Lasiter, who was an ad man. He put forward a place as the capital of orange juice. His ad campaign caused orange juice to become the thing that everybody drank. Before that, there wasn’t really much to it, but he invented the term Sun Kissed from orange juice. You should have orange juice for breakfast. You should have however many glasses. Then a lot of that was television media. It used to be if you wanted to build a giant brand like that, constantly getting this message out there, you had to put billions and billions of dollars in TV. What’s happened now, because of social media, you take that same idea of putting this content and these ideas and sort of build a brand with presence. We do it with the intention of immediately getting a customer. That’s why I call it intent-based. We do it without spending a ton of money. We say, who do we want? Then you put content about “hey, here’s how you get that thing you want”. During that content, we say, “hey you know if you want some help doing that, here’s what I want you to do. Call in. Go to this website, schedule an appointment”, whatever it is. Getting it out in front of them and then telling them what to do. The magic is in the fact that we’ve never been able to do this before and what’s even better is that now we can even carpet them with more ads. It makes sense to target them because they’ve already watched the original video and we know they’ve watched it, so it’s like give all of this stuff away that makes people like you. And then the people who have demonstrated that they like you because they watch your stuff, you give them more stuff. Chris Johnstone: We’ve found that in our agency, and the mortgage and insurance and legal business, we have a lot of customers that aren’t comfortable in front of the camera. They don’t want to get in front of the camera. We found that we were actually able to replicate, on a smaller scale, a very similar process. They engage in the content, we re-target them based on the fact that they’ve gotten that help from us and then bring them into the funnel that way. Frank Kern: So it’s interesting for people that are concerned about that. In our company, we’ve spent a lot of money on this stuff, and have tested really fancy stuff versus poor quality that looks like you shot it on your phone. Now you’re just talking to them. Way more effective than the logo, the animations, and the music, and all that stuff. Your guys who are afraid to be on camera, they’re probably the ones who will be best on camera, because they’re not professional, and that’s what you want. Super simple just to help people, which is great. We’ve seen in our own business also a dramatic increase, not only in the results that we’re getting from the advertising campaigns, but once you actually talk to that person because they’ve seen you, they’ve heard your voice, the leads are higher quality. It’s easier to talk to the lead. You don’t have to chase people because they just feel like they’re entering into a relationship. It’s not that whole “sales pursuit” type of thing where you gotta go club them and drag him back to the cave. Frank Kern: Yeah, it’s work, and it’s very magnetic. All of the heavy lifting is done by the social media campaigns. What is hard to understand unless you do it every day is that when someone watches a video, let’s say that you go out and produce a video about mortgage stuff and somebody watches that, and they see it on Facebook, even if it’s not an ad, Facebook is going to know someone interacted with the content and it’s going to start showing them more of your stuff more often. I think it’s called the rule of seven, or something like that. It says that someone has to see your message seven times and if they see you seven times and you’re helping them every single time when they’re calling you, they are pretty much already pre-sold. I don’t want to make it sound easy, but it’s a thousand times easier than “all right, how are you different? Why are you calling me? So and so referred you”, but then you know, this the completely different scenario because they already feel like they know. Chris Johnstone: Yeah, that’s exactly it. It is the new way in advertising. 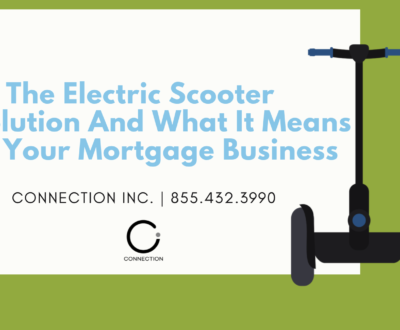 It’s helping them up front, which is completely different than what most people in our industry do, and it makes all of the other processes and actually closing the loans much easier. It makes everything after that point smoother because it’s been built on a relationship and not necessarily on sales. It makes a dramatic difference. I think that I would be remiss if I didn’t say that this is an intent-based branding style video. We’re helping people, we’re educating, and I’ve got a link where people can get some help with actually getting this stuff up. If you’re cool with me sharing that, I’ve set up a ChrisJohnstoneCall.com where everyone can see what our agency does. We do all of this stuff for people that are going business to consumer. We’ll run the Facebook ads, and actually drive the traffic. We’ve got that link where people can actually book a strategy call. We’ll get on the phone with them, help them plan out the campaign so that at the end they actually have a process that they can follow. They get that for free on the call. If they want to do it on their own, they know exactly what to do. Then, if they want us to do it for them, they can ask about it, and we’ll walk you through the process, and see if we’re a good fit to work together. We’re kind of practicing what we preach. Frank Kern: So anyone who is in that professional services category, mortgage, legal, real estate, banking, etc., they should use your agency because you have specialization in those fields. When choosing an agency, it’s very, very important to understand that there’s a gazillion of them out there getting their social media agency designation by buying a course for $300.00 called how to be a social media agency. Then you have all the people that are just very talented people out there. What the difference is between your agency and the next, is that that’s all you do is specialize in this type of niche, financial service, banking and legal. So it’s not like, oh let’s just build this campaign from scratch and hope that it works. You’ve been at it forever. You’ve got a ton of clients. You’ve built this process from the ground up and tested it over and over again. It’s very replicable and very dependable, and that’s what you want in advertising. That is where philosophically, I try to always make that point to people. We’ll just say, hey yeah, we’re not trying to make art in these ads. We’re trying to get comfortable where you consistently put a dollar in, and know that you’re going to get more than that dollar back in a predictable period of time, and that’s what you do. I would strongly recommend anybody watching to take you up on my offer, it’s liable to cost nothing. Your office will tell everybody what to do. Chris Johnstone: Look, Frank, I know how busy you are, and I can’t thank you enough for taking the time to share with us and with our audience and help educate us more. Thank you so much for taking the time. I really appreciate it. Frank Kern: Happy to do it. See you later everybody.